An Inner Harbor view and a spicy pile of steamed hard-shell blue crabs await. : Digging into a big pile of Maryland-style steamed hard-shell blue crabs, accessorized with coleslaw, fries and a pitcher of beer, is a classic Maryland experience, and this waterfront favorite (which was founded in 1964 in landlocked Gardenville) makes the most of it. 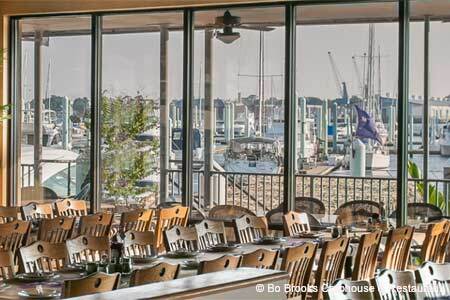 The menu includes a plethora of seafood dishes, such as mussels Florentine, lobster mac ‘n’ cheese and, of course, the local favorite, the crab cake. Limited burgers and some salads are thrown in for variety, but nothing quite measures up to those huge, meaty crabs, cracked in the presence of sailboats and yachts.